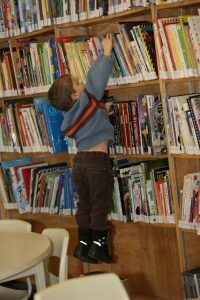 The Town of Smooth Rock Falls Public Library strives to better the lives of individuals and the spirit of the community by providing quality library service. The Library is located adjacent to the Georges-Vanier Catholic K-12 School. In addition to be able to loan books, magazines, and audio-visual material (DVDs, CDs, audio books), library guests can access obituary files, genealogy collections, periodicals, e-books and video games. The library also provides faxing, photocopying, scanning and printing services, computers and Internet access. Conference rooms are available for public use. Patrons can also get assistance with references and research as well as inter-library loans.